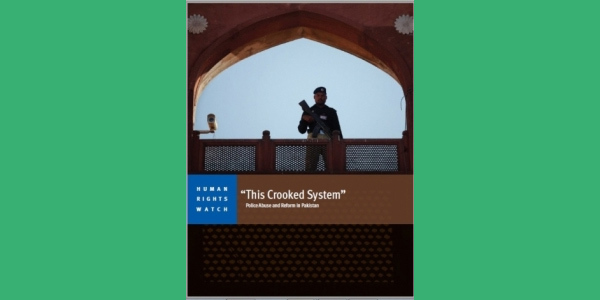 This report documents custodial torture, extrajudicial executions, and other serious human rights violations by the police in Pakistan. It details the difficulties that victims of crime and police abuse face in obtaining justice, including the refusal by police to register complaints (known as First Information Reports or FIRs), their demands for bribes, and biased investigations. The poor and other vulnerable or marginalized groups invariably face the greatest obstacles to obtaining justice in a system that is rigged against them. It also examines limitations, including financial and human resource constraints, which police say impact their ability to function properly, and looks at examples of some good police practices that can serve as possible models for the future.